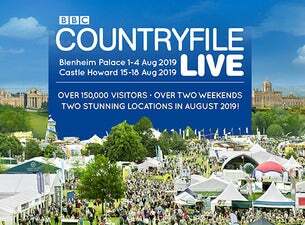 Countryfile Live is coming to Blenheim Palace and Castle Howard in August 2019! This huge and exciting event combines the tradition of the UK’s best county fairs with the quality editorial and presentation of one of the BBC’s flagship programmes. Enjoy exciting live arena shows, talks, hands-on activities, Adam Henson’s farm, animal displays, farming in action, Q&As with the Countryfile presenters, off-road experiences, shopping from more than 700 exhibitors including food, craft and luxury producers and even a great British pub garden.